Hope you are all enjoying your reading. I had another good week, mostly audiobook as I listened a lot as I am sewing a quilt for my sister for her bed. It’s meant to be summer here, but wet and drizzly last couple of days. On Friday the tree people came and cut back my trees – now I am feeling exposed! But they will grow quickly enough. I never thought of how much money I’d spend on trees when I was planting them! These were all good reads. I raced through True Places which was so good on audio. Some fiction and a memoir. And I will start listening to Royal Blood. A cozy mystery is perfect after the emotional last audiobook. Welcome in one and all. Hope you are now all getting your 2019 reading groove sorted. As part of the new year I went on Goodreads and got realistic about that TBR list! I brought it down from over 1600 to 241. And… maybe I’ll even cut that back a little more. I loved the Marilla book – so well written and researched. Just captured her perfectly. Finished Cowboy Seal Homecoming on audio and The Victory Garden is one for review. My reading was rather slow last week, might have been the books or… more likely just me! I did get some viewing done though, and am making my way through Brothers and Sisters. What family drama! As I missed it when it aired, I now have the pleasure of watching it. And its cricket season here now, I know, I know! But I’ve been a fan since I’ve been a child. I used to sit there and watch it often through a very “snowy” screen when reception was bad. This is the last Monday of 2018, well actually the last day of 2018. For me it will always be the year we lost one of our sisters to brain cancer. She was a big reader like myself and we often shared books. As with all sad times it also brought close family time. On the good side it is also the year I finally got the bookcase I wanted and I made some quilts that I love. Some great books and a year of living. One audiobook completed. One paperback and one Kindle book! All to be revealed tomorrow! Good-bye 2018 – the good, the bad and the sad. Firstly I wish each of you a very blessed and enjoyable time with family and friends this Christmas. I have been thinking about my first book for January 2018 as Sheila is hosting it again next year. If you haven’t done it before this is a fun book event to become involved in. Read all about it here. I need to get my photo and book organised! This week I also noticed that Sarah from Sarah’s Bookshelves is going to start a new book podcast in the New Year. I listened to the Trailer and loved it so I am looking forward to listening in during 2019. If you like a good book podcast head over to her blog and read all about Sarah’s Bookshelves Podcast. I read three review books ( one was short). I enjoyed them all. I also finished this audiobook, and I have to say it hooked me in, it was so well narrated by January LaVoy. I am off again to Rotorua – (5-6 hours away) to sign more papers at the lawyer because my sister’s estate is still not finalised. I travel with another sister for part of the way. Up one day and home the next, but it will be over the time when this post is live. Your Monday – my Tuesday! I might be able to visit with some of you – all going well. 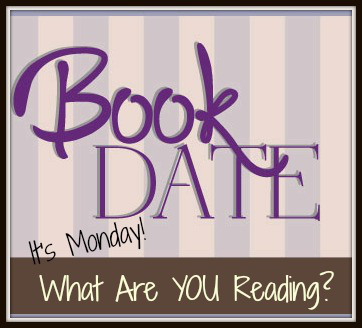 I posted a reading challenge this week Connect Five Books – a new one I am hosting. I will finish with my Full House Reading Challenge at the end of this year. This new one is different, and it will challenge me if no one else! Check it out. I really liked this Australian author’s book set on an island with a Dr. visiting Turtle Bay to wrap up her grandfather’s estate. She arrives in designer boots and meets cow pats! Goodbye designer shoes. I also read and am just okay with this one, it was interesting but wasn’t a riveting read for me. If you are going to read it don’t let that put you off, it might be your “cup of tea”. I finished listening to this one and got really into it, I was a little dubious starting off, but loved it in the audiobook version. Time for a Christmas read…. I so am in love with this cover. I just started listening to this one. The narrator is narrating so well and the story has started off so sadly with a mass shooting and the terror of the people involved. Shed tears already! Will listen to more of it as I am driving for first and last leg of my journey. This one publishes in January. My first of the 2019 reads. Oh my, welcome to December! We began it with a large extended family gathering for Christmas for family far and near. It was perfect and my lovely niece hosted nicely. We all bring a dish but still, its work for the person whose place it is at. So many new young faces here since last year. “Hello Poppa, I’m sorry you died…. I want to sing a song for you”. We have been experiencing summer! Do I complain or celebrate… or a bit of both! Three books – all very satisfying reading. Harry’s Trees was one I heard about on the What Should I Read Next podcast. Was well worth reading. A Thousand Roads Home was my favourite for November and Fatal Invasion was #13 in a romantic series that is the best!